Camas Davis runs the Portland Meat Collective, which offers classes in meat preparation and seeks to inspire responsible meat production through experiential education. Photo Credit: Shawn Linehan. In her quest to educate others on how to prepare and enjoy meat, Camas Davis of Portland, Oregon, seeks to change eating habits and help people see, and taste, the benefits of the whole animal. “We’ve lost our knowledge of how to cook meat, and many people don’t know that all of meat is edible. We want to shift the way that people think about what’s edible, and we want to change habits,” Davis says. 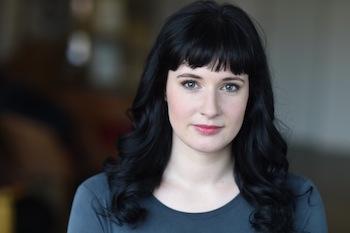 A former food writer and magazine editor, Davis now leads the Portland Meat Collective, which has offered classes in meat preparation since 2010. On the streets of a Boston, MA neighborhood where one grocery store was vastly outnumbered by fast-food venues, and health reports consistently revealed staggering numbers of chronic disease cases, 17-year-old Shavel’le Olivier sought to become a force for change. 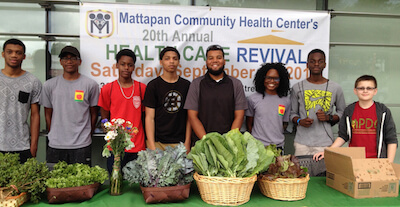 Now, seven years later, Olivier leads the Mattapan Food and Fitness Coalition Vigorous Youth group, a thriving youth organization that is working to increase food access and improve health outcomes in the Boston neighborhood of Mattapan. Photographer, food stylist, cook, and author Melina Hammer is on a mission to change the way people treat and think about food in her debut cookbook “Kid Chef: The Foodie Kids Cookbook: Healthy Recipes and Culinary Skills for the New Cook in the Kitchen.” Photo courtesy of Melina Hammer. Photographer, food stylist, cook, and author Melina Hammer is on a mission to change the way people treat and think about food. 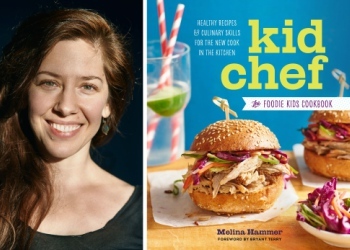 In her debut cookbook, “Kid Chef: The Foodie Kids Cookbook: Healthy Recipes and Culinary Skills for the New Cook in the Kitchen,” aimed at aspiring eight to 13 year old chefs, Hammer offers more than 70 recipes, drool-worthy photographs, and helpful tips. Seedstock recently caught up with Hammer during a visit to her hometown of Detroit to discuss her inspirations, her strategies for changing the food system through teaching, and the challenge of eating healthily in an area with limited access to fresh food. Seedstock: What is your goal with this cookbook? Growing up in Manhattan, Dina Falconi foraged her food at the grocery store. But when she relocated to Marbletown, New York, in the foothills of the Catskills, she discovered a powerful fascination with food harvested from the earth, particularly from the wild. “How amazing it was for me to discover that many of the ‘weeds’…surpass cultivated plants in nutrient content while also possessing additional therapeutic properties,” she writes in her book Foraging & Feasting: A Field Guide and Wild Food Cookbook. Leanne Brown, author of ‘Good and Cheap: Eat Well on $4/Day,’ a cookbook for the roughly 44 million Americans who receive SNAP benefits. Photo credit : Jordan Matter. While it may have the eye-catching photography typical of most fancy cookbooks, Good and Cheap: Eat Well on $4/Day, is a cookbook for the roughly 44 million Americans, (according to current USDA data) who receive SNAP benefits.